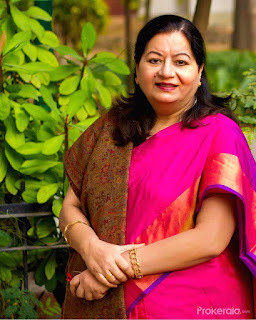 The Ministry of Human Resources and Development has issued a statement about appointing Professor Najma Akhtar as Vice-Chancellor of Jamia Millia Islamia University (JMI) by the President of India. She has been appointed for a period of five years. She has a Ph.D in Education from Kurukshetra University. Professor Najma Akhtar also has been a Commonwealth Fellow for University Administration Course at University of Warwick and Nottingham. She has also trained at the International Institute of Educational Planning (IIEP), UNESCO, Paris. JMI is a public central University in New Delhi. JMI was founded on October 29, 1920, by nationalist Muslim leaders during British rule in Aligarh in the erstwhile United Provinces. Dr.Zakir Hussain was the first Vice-Chancellor of JMI. The Ali brothers, Moulana Mohammad Ali Jouhar and Moulana Shoukat Ali, especially played a major role in the establishment of JMI. JMI became a central university by an act of the Indian Parliament in 1988. Q. Who has been appointed as the Vice-Chancellor of Jamia Millia Islamia University (JMI) by the President of India, making her the first woman to hold the post?